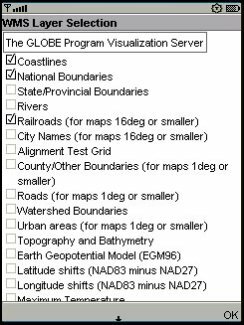 The OGC WMS Client is a tool, implemented in J2ME, to communicate with OGC conform WMS servers and display the requested maps. 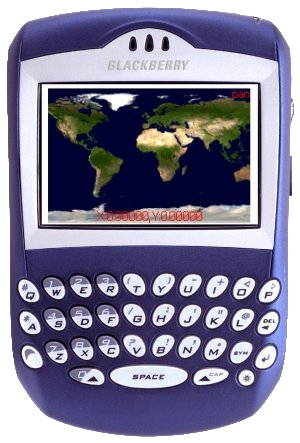 It is designed to be run on ultramobile devices like PDAs and mobile phones. The OGC WMS Client was a demonstration of technology and is no longer under active development! To enjoy the full range of new WMS features use Spot on your mobile or Spot for Blackberry on your Blackberry device instead. For commercial use please email to info@skylab-mobilesystems.com. 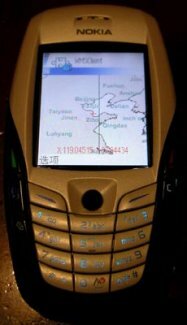 Runs on any Java capable (MIDP 1.0 / CLDC 1.0) cellular phone or PDA ! We are always thankful for success/problem reports with other devices!